MaKey MaKey’s are easy-to-use interface devices that can turn any conductive object into a button. However, their small size (3.75” x 2”) makes them difficult to display and explain in a public demonstration or festival setting. 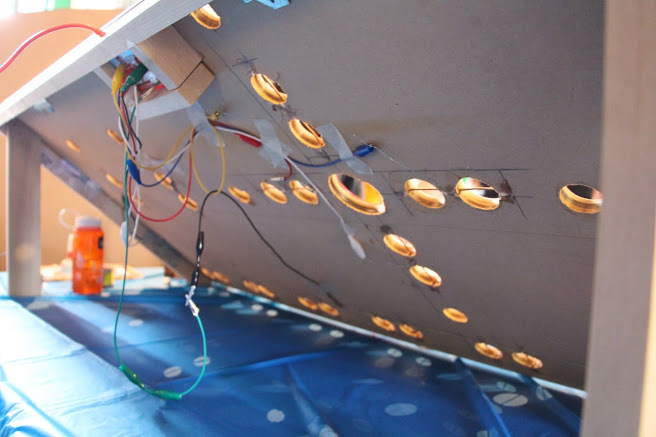 TechHive created a large-scale, working replica of the MaKey MaKey. An actual MaKey MaKey is wired to the model making it function exactly like a normal Makey Makey. This playful exhibit introduces the public to MaKey MaKeys and helps to explain conductivity in materials. The TechHive teens learned about CAD, basic circuits, and electrical conductivity, as well as gained experiences communicating with the public by facilitating this table-top exhibit. We also got to take a photo with Jay Silver, one of the inventors of the MaKey MaKey.